The 28-day appeal period had no challenge from the Government. 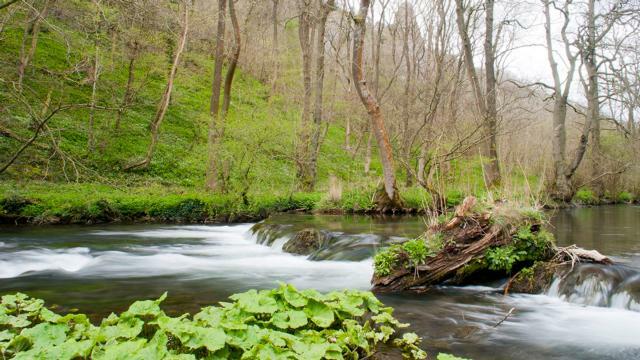 Farmers who rear stock near the River Dove have won an appeal to stop their land being designated as a nitrite vulnerable zone (NVZ). Hundreds of farmers from Leek, Cheadle, Uttoxer and Ashbourne in Staffordshire and Derbyshire joined forces with the NFU and Hafren Water consultants to fight Environment Agency (EA) plans to form an NVZ which it argued would reduce the concentration of total inorganic nitrogen (TIN) in the River Trent. But the First Tier Tribunal determination of January 4 said there was a question mark over whether an NVZ designation of the Dove catchment area would success in reducing the concentration of TIN in the River Trent ‘by any meaningful degree’. It said the EA plans amounted to ‘the proverbial sledge hammer to crack a nut approach’. NFU West Midlands environmental policy adviser Sarah Faulkner said farmers in the area would be able to ‘breathe a slight sigh of relief that at least one unnecessary restriction has been dropped’. “This decision is not just a victory for our farmers but one for common sense,” she said. Mrs Faulkner said since the last appeal, water quality had improved in the River Dove due to farmers’ hard work to reduce their impact on the water environment and surrounding soils. The tribunal said to designate such a large catchment area – about 1,200 square kilometres – to protect only a very small length of the main stem of river was ‘unusual and disproportionate’. NVZs are still active in some areas of the River Dove catchment, including the River Tean, Rolleston Brook and Marston Brook, under legislation to increase controls over the storage and use of manures and fertilisers to minimise nitrate run-off into rivers and their tributaries. If one was imposed, farmers could be forced to build expensive new slurry storage units. Sarah Belton, senior hydrogeologist at Hafren Water consultants, added: “The River Dove is not, and has never been, polluted by nitrates and actually improves the water quality in the Trent below its confluence.